Through the most powerful techniques in Kundalini Yoga, which I have been doing every day-for more than twelve years, I have been given to experience my soul's lifetimes as Durga fighting demons in the Himalayas with Rishi Dusht Damam; as Mary the mother of Jesus; and as integral to the lineage of the Sikh Gurus, having been the sister to the first Guru--Guru Nanak, the beloved spouse of Guru Arjan Dev ji, and as the second wife of Guru Gobind Singh, who never had children with me but made me Mother of the Khalsa, whom I am to this day. I call upon these divine entities every morning to help me meditatively, yet powerfully wash the world. I feel completely privileged to be able to follow and be followed by you, also to be able to share a successful journey that which we both want. Dear Kyle, I chose the Beauty Spa theme because it offers massage and yoga, both of which I have been professionally trained in, and also a wellness center, where I can offer my extensive knowledge on healthy diets and exercise. That was until I noticed today it is for already established businesses to promote their services! I do not have a brick and mortar established business, just my longtime personal expertise. 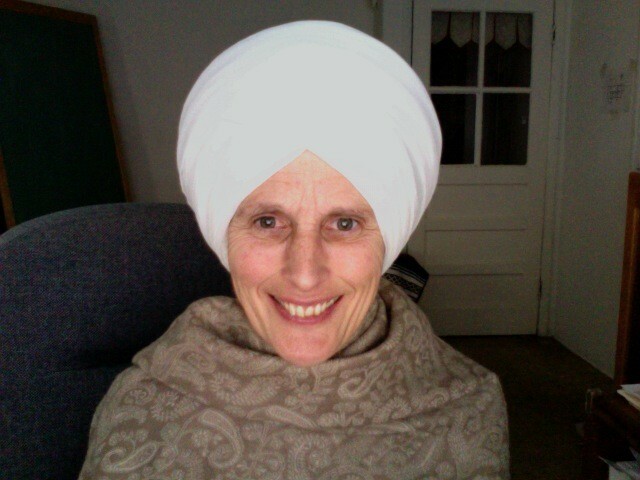 I want to promote my newest theme, www.SikhiKundalini.com, which combines the two areas I have excelled in for over forty years. How do I make this my default theme? You did not send Kyle a private message. Instead you have posted a question on your own profile. It looks though you have purchased a registered domain name from WA. Contact SiteSupport https://my.wealthyaffiliate.com/websites/support and ask them to please install WordPress for you. Once that has been completed, here's how you can select and install a theme from within your website: Add New Themes Hope you find this helpful. Welcome to WA premium membership. You made a truly important decision to take your affiliate marketing to the next level. I can remember when I went to premium membership in September, 2009. I have never regretted this decision. As a premium member you have access to some additional resources that you don't get with the free membership. My favorite one are the Friday weekly Webinars at 5PM Pacific Time. I have learned a lot from Jay Neal who is the live training coach. I want to wish you all the best in your success as an affiliate marketer. Please share your experiences with the WA community. This is probably one of the most helpful communities you'll find and the training is awesome. May WA take you far, wishing you much success. Hi Guru and great decision going Premium! You've now just launched your business to the moon! See you there! Hope you are rocking it Guru and of course (and as always) I am in your corner if you ever need anything! I hope things are going well Guru! I want to remind you of one thing, your hard work and dedication IS going to pay off. Keep working through the training, communicating within the community, and of course, ask for help when you need it. Just heading out for a bit here, but do leave me a message if you need a hand with anything. You should have Premium communication back for an additional 7 days now, so hit me up when you get a chance Guru! Just wanted to shoot you a quick message and see how things were going thus far Guru? I am here to help if you ever need a hand with anything, just holler! Hi Guru Just thought I would check in and see how things are going with you! I hope all is well and you are enjoying yourself here within the community. Hey Guru, welcome to Wealthy Affiliate! I am Anis, thanks for accepting my invite I am here to help you along the way. If you ever have any questions or need a hand with anything, do let me know. As a new member here, you should check out the Online Entrepreneur Certification getting started course (Level 1). This is a task-based course that will get you taking action on daily tasks that will lead to you building web assets. Here is the link that you will see within your main menu labeled "Get Started Here". Online Entrepreneur Certification - Getting Started Level 1 Don't forget to create your personal profile by adding an image and a few words about yourself! You will find many WA members come offering their help and asking you to follow them which is a great resource for you to have access too, many members here have a wealth of knowledge that you can tap into. Just a quick heads up. You can just do the course and that's it or you can take advantage of a discount on a premium membership here at WA. There is absolutely no pressure to change your status, but if you decide to become a Premium member and unlock absolutely everything Wealthy Affiliate has to offer and do so before your 7 day course is over you will qualify for a 50% discount on the first month of your membership. Dear Anis, my problem is money I invest in the project at this point takes funds out of my rent payment at the end to the month. I used to borrow funds from my brother to meet my rent, but now he has high medical expenses and cannot afford to help me--plus I owe him over two thousand dollars for past rents he lent me. If the first week of training does not pan out into an income I will not be able to afford to continue, unless I suddenly receive a publishing deal for my spiritual memoirs! A challenge because my website was degraded from Word Press to HTML when I was on hiatus. I get huge challenges like this because of the vast nature of my destiny. It all goes into my life's story. I was very active with WA for a long time but never made any money with it. Now I have won a contest and will be receiving a white Mercedes, 2.5 million cashier's check and $25,000 in cash. For a long time WA was the only real online business venture I worked with. Once I receive my winnings, I will no longer need your wonderful services to try to make money. 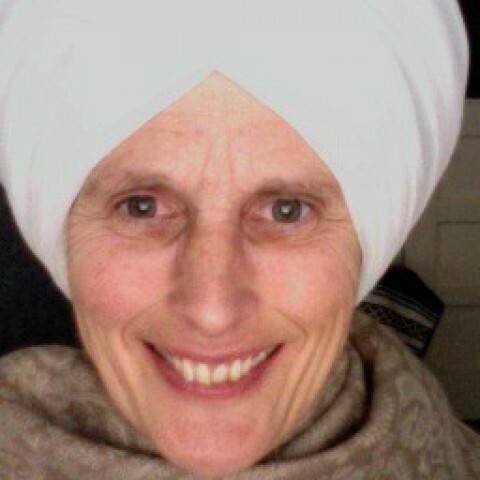 Since I am strong and healthy at 68years, I will use my winnings to publish my memoirs in their entirety and, because of my past lives as Durga, sister of Guru Nanak, marriages to the 5th Guru, Guru Arjan, and made Mother of the Khalsa by the 10th and last Sikh Guru, Guru Gobind Singh, I will become famous world-wide with little effort on my part.